Join us in search of wild dolphins aboard any of the boats in our nearly 100 charter boats available for-hire. Our knowledgeable captains and crew will guide you and your family on an exciting, informative quest in the smooth pristine waters of the back bays to watch dolphin frolic in their natural environment. We offer trips on 24′ Center Console skiffs, six passenger & multi passenger charter boats, glass bottom pontoon boats, sailboats & head boats. Describe your group, the date, and your ideal time on the water and AAA Charters can customize a trip to match your vision. Romantic cruises for two are popular. GLASS BOTTOM BOAT $ 350 – $500/Hr. Special Winter Discount is Available on all Private Cruises prior to March 31, 2015. Come sail with us aboard this 53-foot, open-ocean catamaran and explore the turquoise waters of Orange Beach and Gulf Shores, Alabama and Perdido Key, Florida. Daily morning & Sunset Cruises are available with excursions just off the shore, offering views of white-sand beaches in one direction and the wide expanse of the Gulf of Mexico in the other. 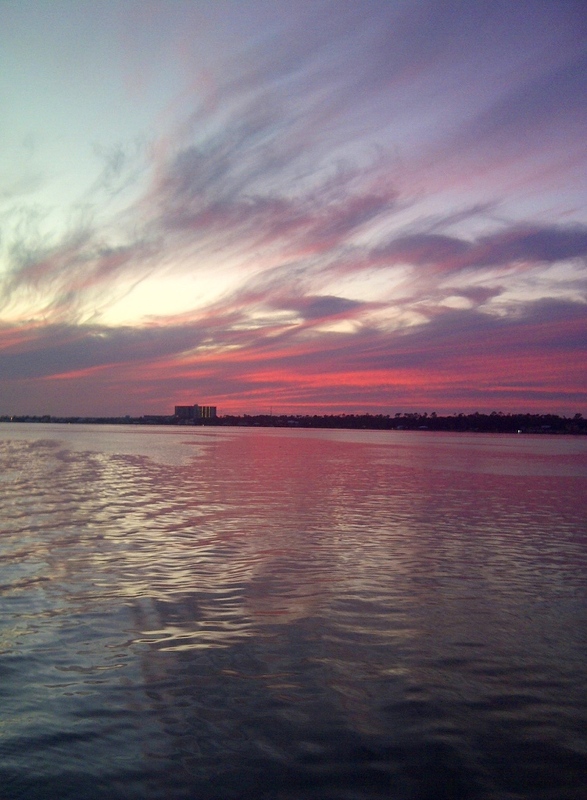 Wild Hearts also sails the calm, back bays and bayous of our vast coastal waterways. Stretch out on the spacious deck as the captain and crew raise the main sheet to take advantage of the warm, gulf breeze. An open cabin provides a comfortable respite from the sun while you enjoy your cruise. 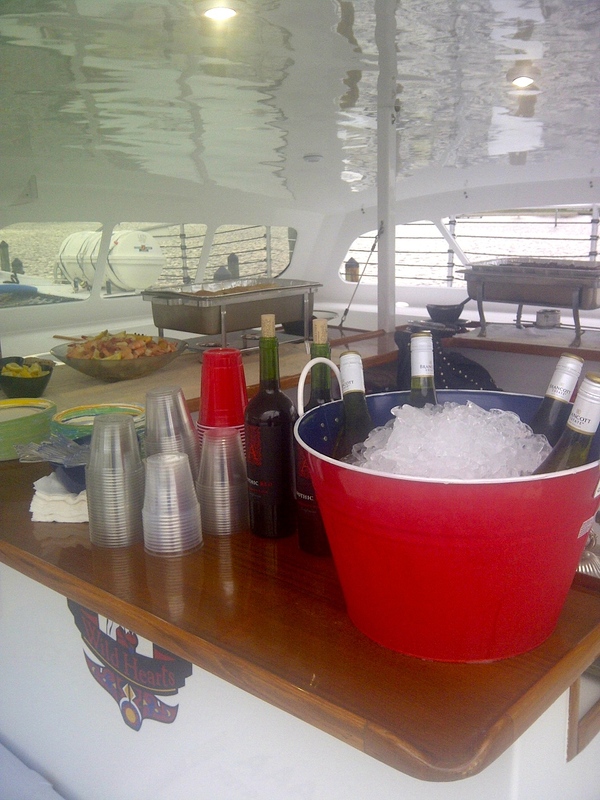 Two restrooms are located below deck and non-alcoholic refreshments are available at the onboard bar. Complimentary fresh cheeses, fruits, crackers and a variety of snacks, soft drinks and bottled water. Guests are welcome to bring small coolers w/ adult beverages.